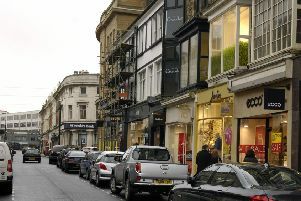 Cutting congestion in Harrogate is not just about finding alternative ways to travel to work. There is plenty of motor traffic clogging up the roads during the working day but if the council wishes to encourage cyclists as part of an attempt to mitigate this, conditions for cycling here have to undergo a major improvement. I am not a cyclist in Harrogate but could be, if I felt safer on the roads around me. Whenever I travel to Europe, where I have cycled, I am struck by the prevalence of cycle paths. In towns and cities, the pedestrian paths are divided to accommodate cyclists and verges are converted for their use, even alongside motorways (a reasonable distance away so as not to be implicated in motor traffic). Accidents with pedestrians seem few and cyclists are well tolerated. An argument for not having these facilities has often been that there is not enough space. But look around. Harrogate and the surrounding area have very wide pavements and verges, none of them used for cycles yet they so easily could be converted to be so. The A59 west of Harrogate has huge verges and a cycle path could run alongside it for miles, yet you have to be very brave to cycle along that road at present (and not just because of the potholes). So far, all that has been provided in Harrogate for cyclists are two foot wide lanes (that frequently suddenly run out) on some town roads together with biking paths which are mainly for recreation rather than utility because they don’t go where cycle paths would be useful. If they do, they soon come to an end. In general, the Harrogate cyclist has to be confident enough to take the risk of being in collision with road traffic. If the council is really serious about getting people onto their bikes, a whole lot more has to be done to make it work. Cycleways have to be off the roads, sufficient money has to be allocated and the general mindset about cycling and cyclists needs to change so that we replicate more readily the provision and tolerance for cycling that is so often seen abroad.